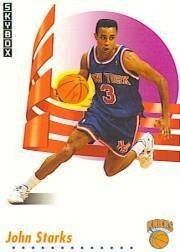 1991-92 SkyBox Rookie Card of former New York Knicks superstar guard John Starks. NrMt-Mt or better. ONLY ONE AVAILABLE FOR SALE.